Congressional Republican leaders adamant about avoiding a partial government shutdown ahead of a Dec. 7 funding deadline have yet to outline an endgame to ongoing negotiations that have been marked by pressures from the White House and their Democratic counterparts. When the House and Senate return to Washington after the Thanksgiving recess, the GOP leadership will have less than a month to advance its final spending bill for federal transportation and public housing programs, as well as six other measures. They are the bills that would provide funding for programs at the departments of Agriculture, Homeland Security, Interior, Commerce and State, and the financial services agencies. If House and Senate funding leaders are unable to finalize each of the seven fiscal 2019 funding bills and clear them for the president, they could combine the seven funding bills into what’s known as a “minibus.” Another option still would be to advance another short-term continuing funding resolution, postponing funding disputes until the next Congress convenes. The House and Senate transportation funding bills include provisions that would deny funding for the electronic logging device mandate for certain livestock haulers. Those haulers repeatedly raised concerns about ELD rules to transportation policymakers on Capitol Hill. The ELD mandate, which took effect in December 2017, requires carriers to equip trucks with devices to track commercial drivers’ hours of service. Fiscal 2019 funding for the Department of Defense, and other agencies, was already approved. President Donald Trump’s insistence for additional border security funds to build a wall along the southern border, and Senate Democrats’ intent to safeguard special counsel Robert Mueller’s investigation of aspects of the 2016 presidential election have dominated discussions among funding leaders. Senate Republicans, eager to put an end to what could turn out to be a government funding saga in the lame-duck session, met with Trump at the White House prior to the Thanksgiving break. They acknowledged that the president remains determined to win additional funding for a wall along the southern border. Speaking to reporters Nov. 17, Trump raised the potential of a partial government shutdown if Congress were to fall short on his wall funding request. 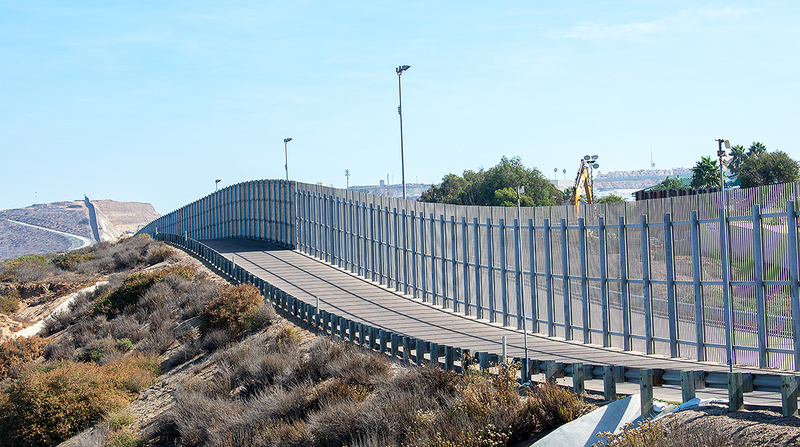 Funding leaders in the House included $5 billion for barriers and other infrastructure along the border. The Senate has come up with $1.6 billion. Most Democrats, as well as a few moderate Republicans, have opposed robust funding for a wall, which the president had claimed would be backed by the Mexican government. To avoid a Democratic filibuster during debate, Senate Republican appropriators would need to identify additional funding for the wall without shifting funds from programs popular with both parties. Complicating funding negotiations is the recent indication from Senate Minority Leader Chuck Schumer (D-N.Y.) that he would look to attach to must-pass fiscal 2019 funding legislation a provision designed to ensure Mueller is able to conclude his investigation undeterred. Trump’s critics claim that naming Matthew Whitaker to the acting attorney general post threatens the Mueller investigation.